Plus tax. Regular Season Dinner & Show. 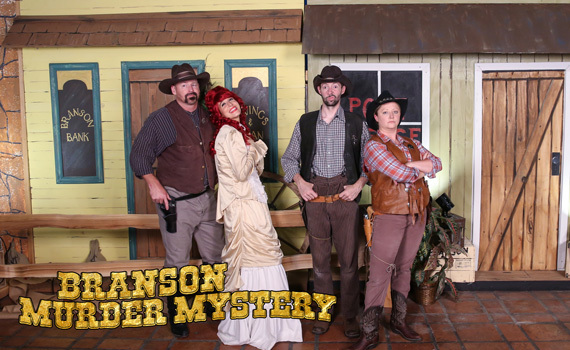 Branson Murder Mystery presents “Murder on the 76 Trail,” and gives Branson a hilariously live dinner theater experience! 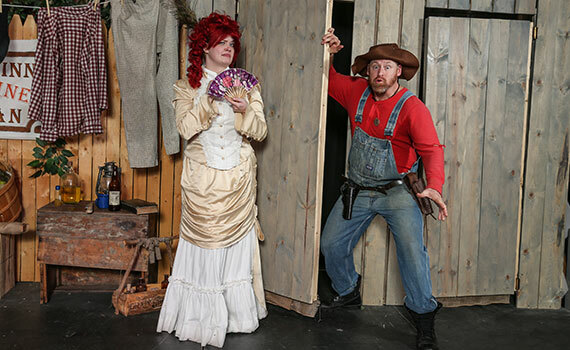 “Murder on the 76 Trail” takes place in Branson somewhere around 1898 and is one of the best attractions in Branson. Everyone is getting ready for the town vote when suddenly there is a mysterious death. This is where the story and the insanity, begins! 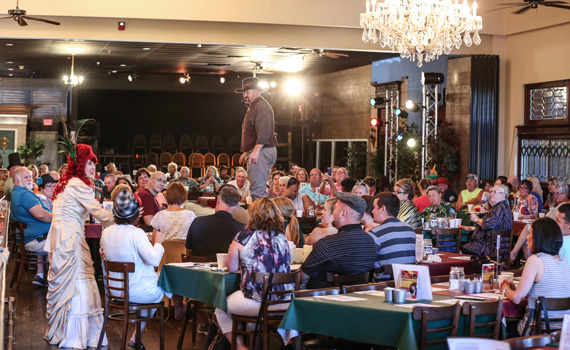 With the action being played out right where audience members are seated at their tables, it’s easy to be a happy observer, or you can volunteer as a guest actor. 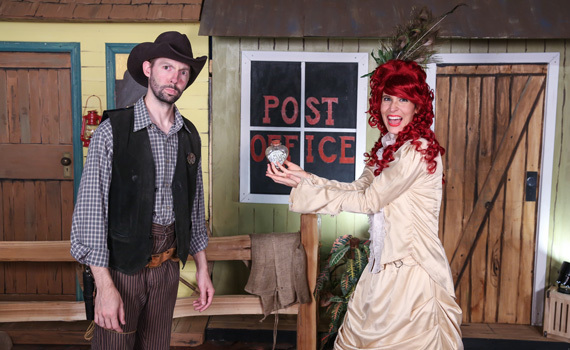 Not only does this show have an exceptional cast, they fill more than 12 roles with members of the audience. How fun is that? 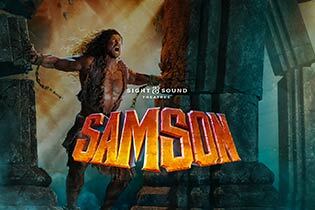 Now that’s real interactive theater! 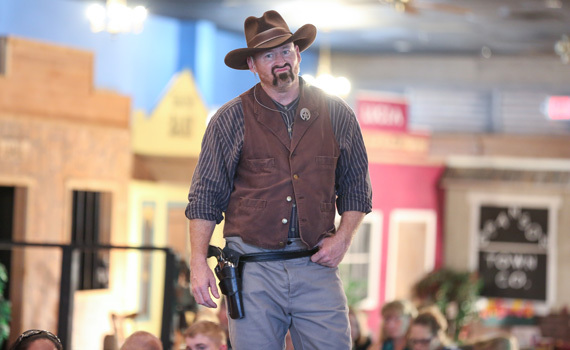 You could end up playin’ a real-life Old West outlaw…like Jesse James - or maybe his younger brother, Frank James. 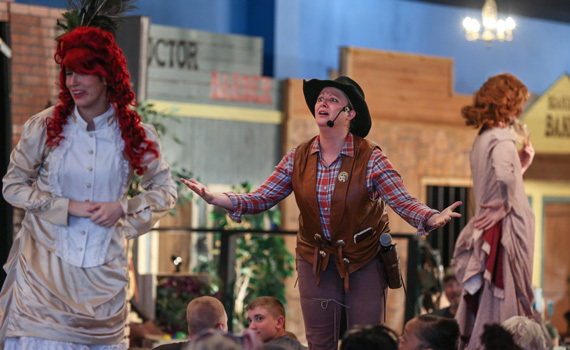 How about Annie Oakley or Calamity Jane? 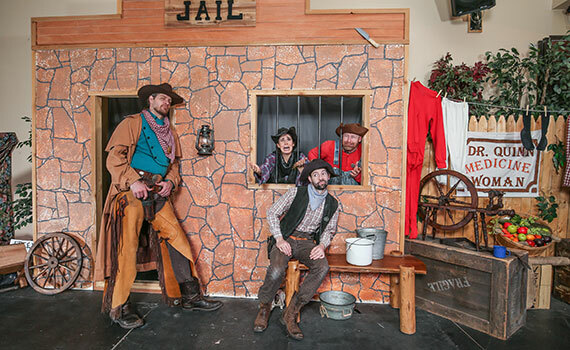 It’s an honest-to-goodness Old West in the Midwest fantasy come to life!There’s never a dull moment in “Murder on the Square;” you’ll enjoy trains a whistlin’, guns a shootin’ , and folks a yellin’ – it’s truly a great time to be had by all. Hey, you could even turn out to be the murdering scum yourself. And, can you believe it? All this outrageous fun is based, rather loosely mind you, on Branson’s actual history…with a lot of liberties taken, of course! You follow the clues and you get a chance to solve the murder. It’s a real “Who Dun It”.Wait…there’s dinner, too? Sure! 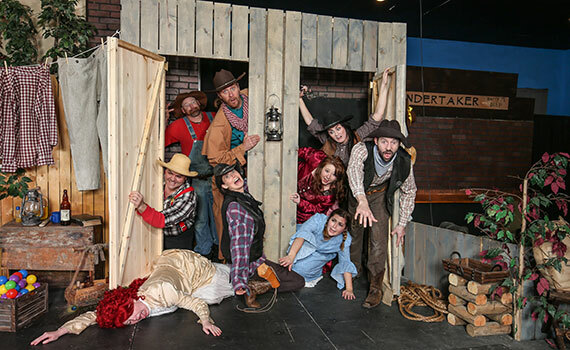 Dinner, Wild West Comedy hi-jinks, the chance to hone your acting skills; and it’s all wrapped up in one zany, crazy Dinner Show. 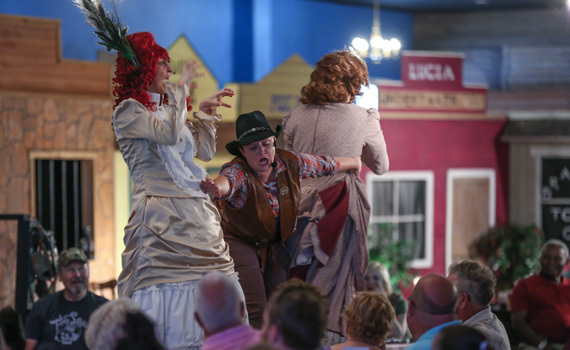 Come on out and join the fun at “Murder on the 76 Trail,” one of the best attractions in Branson! · Aunt B’s Fried Chicken: The chicken is brought in fresh daily. Hand breaded in our secret seasoning blend, deep fried and served to you moist and juicy. 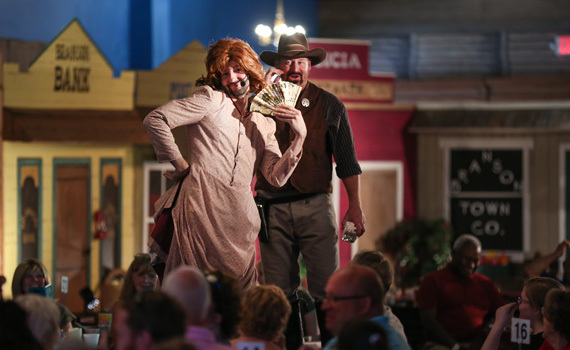 n. Book your tickets through the Branson Tourism Center below. 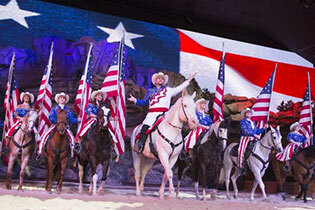 Family pass is for 2 adults and up to 2 children ages 4-11. 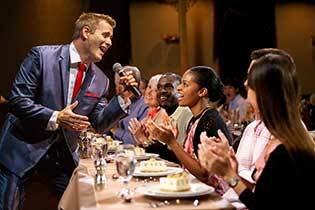 Meal begins at 4:00; Show begins at 5:00. See description for menu.